A 2013 aerial view shows Tokyo Electric Power Co. (TEPCO)'s radioactive Fukushima Daiichi nuclear power plant and its increasing number of radioactive water storage tanks. Image © 2013 by Reuters. 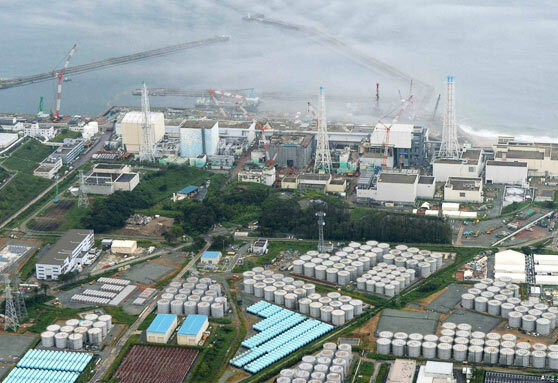 The pumps to get cooling water to the reactor cores of TEPCO's Fukushima Daiichi Nuclear Plant were on the edge of the Pacific Ocean. At 2:46 PM, local time, a 9.0 magnitude quake hit 231 miles northeast of Tokyo at a depth of 15.2 miles. Forty-one minutes later, a tsunami with 30-foot-high waves destroyed the pumps and knocked out electricity. Three of the reactor cores in Units 1, 2 and 3 heated up, emitted hydrogen gas that blew up and the three cores went into meltdown. 50,000 households were moved from the 80 kilometer Exclusion Zone. Five years later in March 2016, no one yet knows how deeply those three cores melted into the Fukushima ground. Previous PostPrevious Old Nuclear-Powered Satellites Orbit Earth with Plutonium Onboard. One Crash Could Contaminate Thousands of Square Miles. 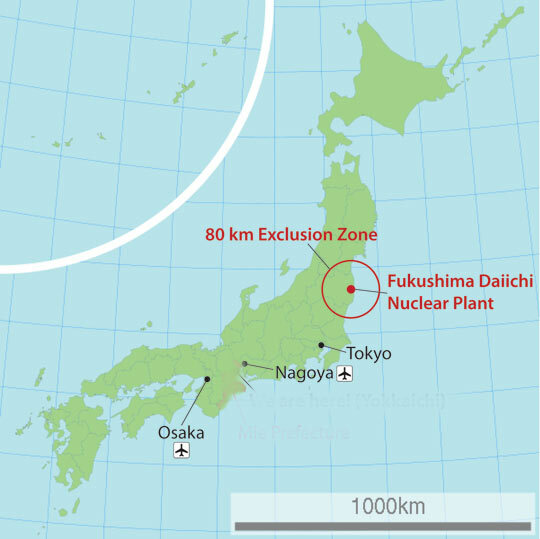 Next PostNext Part 2: Three Fukushima Nuclear Cores Are Still Missing, Melted Down Into Ground and Likely Into Groundwater. U. S. Has 23 of the Same Reactor Models — Could It Happen Here?